Choosing a viral delivery system is a bit like choosing a partner. Do you share goals? Are you truly compatible? Have you seriously considered asking them to carry a bit of your genetic material? Like any relationship, you need to do your homework before inviting a viral delivery system back to your incubator. 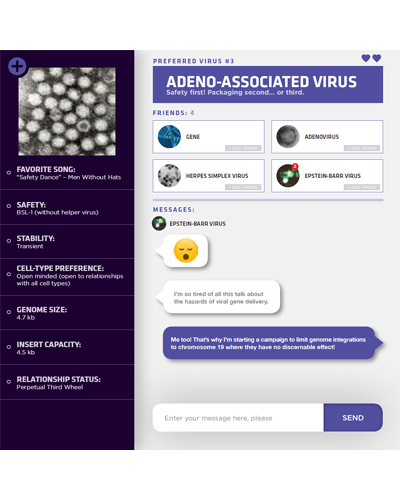 Download our "Going Viral" poster to find the right viral system for you!